Anders and Olivia are lovers. While riding on Ander’s motorcycle, a black Mercedes runs them off the road, leaving Olivia in a coma. Anders was lucky and only sustained a few cuts and bruises. Olivia’s father won’t let Anders anywhere near Olivia. A few days later, Anders receives the news that Olivia has died. Anders has a feeling that Olivia is very much alive. He goes in search of Olivia. In doing so, Anders uncovers a deep, dark secret that involves Olivia. Can Anders rescue Olivia before it is too late? I have not read Tell No Lies by Julie Compton, though I have that book on my wish list. After reading her latest novel Rescuing Olivia, I plan to purchase the book soon. This book kept my interest from beginning to end. The whole time I was reading this book, I was cheering for Anders. 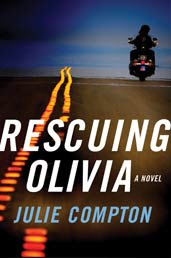 After reading the concept for this book and what Mrs. Compton learned from her research made the thought behind the plot for Rescuing Olivia that more scarier and intriguing. As if I needed that because there was enough adrenaline in the story line to keep my heart racing. 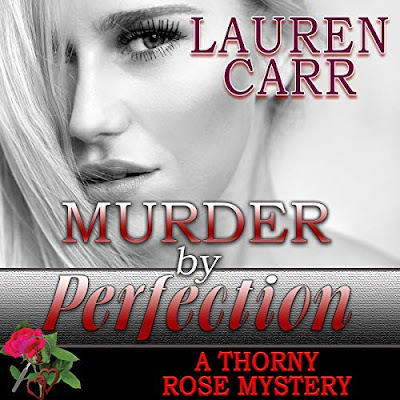 Julie Compton rescued me into discovering a new author.